Fronteers is the trade union for front-end developers in the Netherlands and Belgium. This community is highly regarded and has a wide following. They regularly organise meetings in different places. During one of the previous meetings in Ghent, we got the chance to talk to the people running Fronteers and were immediately invited to give a talk. Since we have the ideal location to host such an event, it was a no-brainer for us. Bart Derudder, with his talk titled "Security – The Weakest Links"
Thijs Feryn, with his talk titled "There’s this thing called HTTP"
The evening kicked off in a friendly atmosphere with a welcome drink with sandwiches and around 6:30 PM, our café was packed. The Fronteers community in Belgium is a cohesive group that includes many familiar faces. It is also surprising to see how much people they can bring together on such short notice. Front-end is popular – no doubt about it. 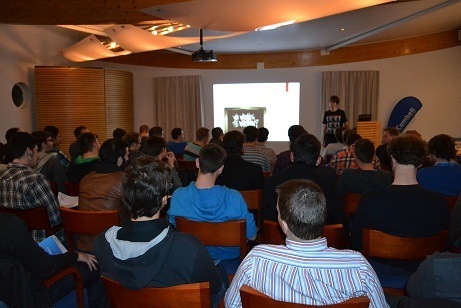 The formal part of the evening started around 7 PM with the talk about security given by Bart Derudder. It was Bart’s first talk and he was a little nervous. But this did not last too long, because he quickly felt comfortable and managed to seduce the audience with bits of humour and some controversial demos. In his presentation, Bart made it clear that renowned online platforms are not always very well secured. He used some tricks to effortlessly gain free access to certain SMS services or paid subscriptions to dating sites. The second talk of the evening was given by our evangelist Thijs Feryn, who talked about HTTP. The presentation started with some basic explanations about what HTTP is and how it is built on a conceptual level. After this introduction, Thijs quickly moved on to the funny things you can do with HTTP and the tools that allow people to use HTTP in an even more efficient way. Tools such as Nginx, Solr, Nginx, Varnish & Node.js were reviewed and the caching model of HTTP was explained in detail. HTTP for front-end specialists is usually limited to browsers and Ajax calls, but in this presentation, it soon became clear that having some knowledge of back-end HTTP technology is not a luxury. Thijs concluded his presentation with a brief explanation about RESTful services and HATEOAS. 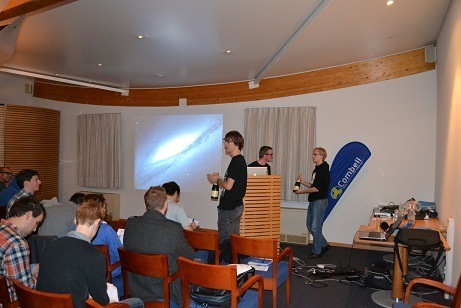 It was a very technical talk that many considered an eye-opener. As usual, the technical level of the presentation was offset by Thijs’ smooth style. The slides from "There's a thing called HTTP" can be viewed on Speaker Deck. User group events are not just about content. Social contact is equally important. 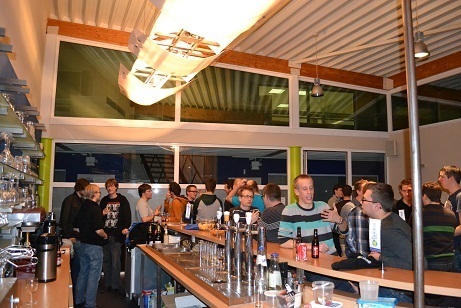 After the presentations, many participants continued to chat until the wee hours with a drink and some food. 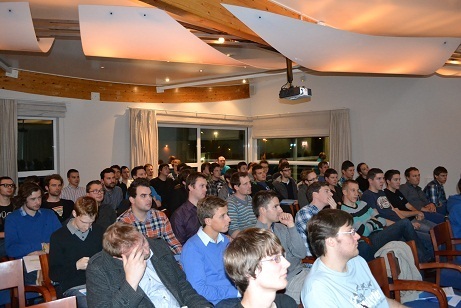 It was a very successful meeting to which many people came, and we can’t wait to relive this experience. Thank you Fronteers!